Eva Longoria To Guest Star In Multi-Episode Arc Of EMPIRE! Eva Longoria knows a thing or two about soapy drama. After her beginnings as cray cray Isabella on The Young and the Restless, she eventually landed on primetime’s Desperate Housewives and later served as EP for Devious Maids. Now comes word via TV Line that Eva is set to guest star on Fox’s hit sudsy Empire! She’ll play Charlotte Frost, the formidable director of the all-powerful state gaming commission who has the power to make-or-break Lucious’ (Terrence Howard) dreams of expanding Empire’s reach to Las Vegas. But Charlotte had some villainess treachery in her arsenal … for behind the facade lies a force of darkness and corruption. Empire returns with all new episodes of its 3rd season on March 22nd at 9PMEST/8PMCST. No word on Longoria’s first official airdate. So, what do you think about the possibility of Eva’s Charlotte going toe to toe with Taraji P. Henson’s Cookie Lyon on upcoming episodes? Comment below! B&B Casts Spectra The New Generation! RATINGS: In A Week With Pre-Emptions, General Hospital Adds Most Viewers! This is going to be so good!!! I love Cookie and if she tangles with Charlotte, it’s going to make for must-see-TV. Both actresses are great!!! the soaps are soooo dull/stale uneventful that there is hardly and soap news or controversy, like no-one gives a darn or are simply worn out or asleep from the boredom that what a has been as Eva Longoria is news . I recall when the boards, sites were 100’s of posts a day but the once energy has has become effort LOL ..
One thing undeniable about RC; his controversial threads and news of RC and GH filled the boards.. some were accusing site owners that posted about RC as being the were near the daily subject (there was just so much of it) and thread that could go 200 posts. He was energy, for good or bad, RC brought it, the excitement. DOOL is very fortunate to have RC ..
She is not lol. ..she brings her own brand of humor and drama. ..Lee Daniels knows how to utilize actors. .Devious Maids was far from tired thank you very much. ..and even though canceled Telenovela was hilarious. .at least to me. This morning, all 16 felony charges facing Empire star Jussie Smollett (Jamal Lyon) were dropped. It all occurred when Smollett and his attorneys went to court this morning in Chicago. The actor/singer was accused of lying to the police in the alleged racial and homophobic attack perpetrated against him. Jussie will now surrender his $10,000 bond, and that is all. Jussie and his lawyer, Patricia Holmes, addressed the media, saying that he’s happy and wants to get on with his life. Smollett thanked everyone who supported him through this case, and maintained he’d been truthful and consistent throughout it. He also pointed out that would never put the LGBTQ movement “through a fire like this.” Finally, Jussie thanked the Empire cast for their support. 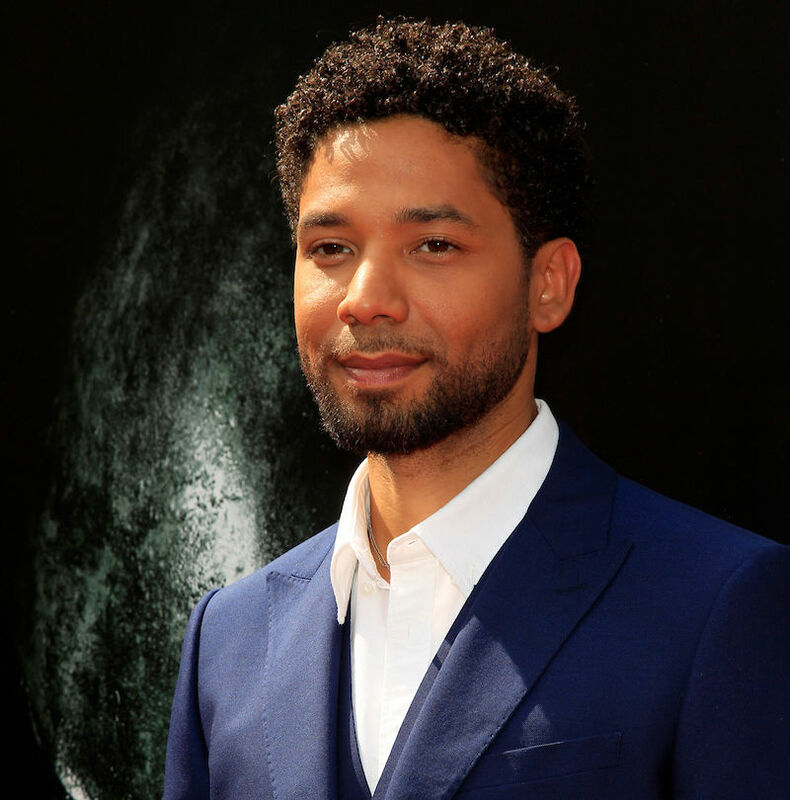 A grand jury in Chicago on Friday returned with 16 felony counts of disorderly conduct and a false report of offence against actor/singer and Empire star, Jussie Smollett (Jamal Lyon). As previously reported, the final few episodes of this season of the music biz soap opera have removed Smollett and his character when they air on Fox. These new charges come on top of the state charges Smollett receive last month were he could face up to three years in jail. According to the grand jury, the new counts are based on false statements Jussie allegedly made to Chicago PD officers and detectives while they were investigating the alleged hate crime and attack levied on Smollett which included; racist and homophobic remarks, bleach being thrown at him and a rope ending up around this neck, back on January 29th of this year. The Chicago PD have provided evidence that Smollett allegedly orchestrated his own attack. Each of the new charges carries a potential sentence of up to three years , though they are usually bundled together as one upon convictions. However, iu cases where there is Class 4 felonies, usually this is revolved through a plea bargain and probation then long jail time. But that could turn on its ear, if Smollett decides to fight the charges at trial. Empire is back for the remainder of their 5th season next week on Wednesday March 13th, where some of the earlier episodes of the back-half of the season will feature Smolett, according to reports. Smollett is due for hisarraignment on Thursday March 14th. So, what do you think of the latest legal trouble for Smollett? Is it over-the- top as his lawyer, Mark Geragos says? What do you think will end up happening next? Will Smollett end up with jail time? Probation? Or, will somehow his defense team get him off on the counts or a lesser degree of counts, or prove that he is somehow innocent? Share your theories via the comment section below. 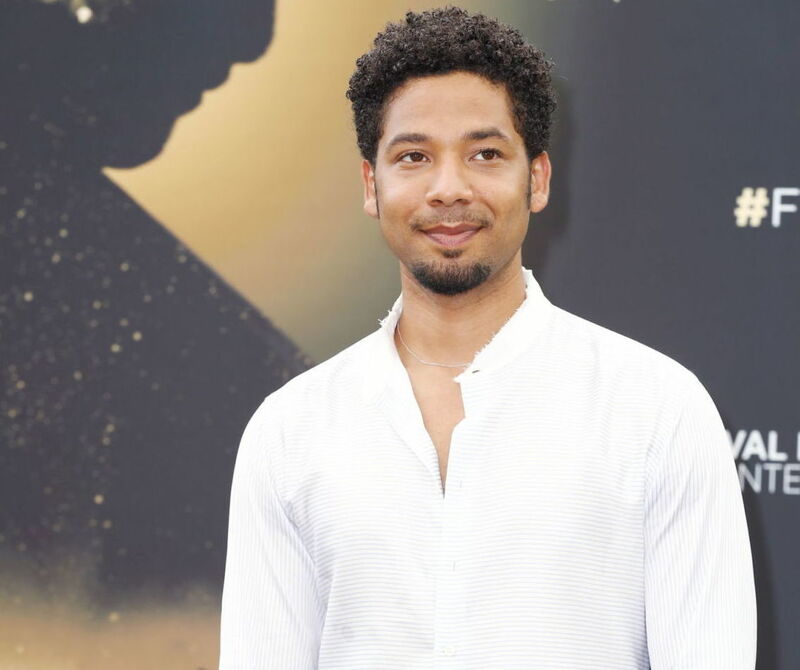 Following the turn of events for Jussie Smollett (Jamal Lyon, Empire) where he was arrested and charged on multiple felony counts and then posted bail, the producers of Fox’s sudsy primetime drama have decided to pull him from the remaining two episodes of the season. 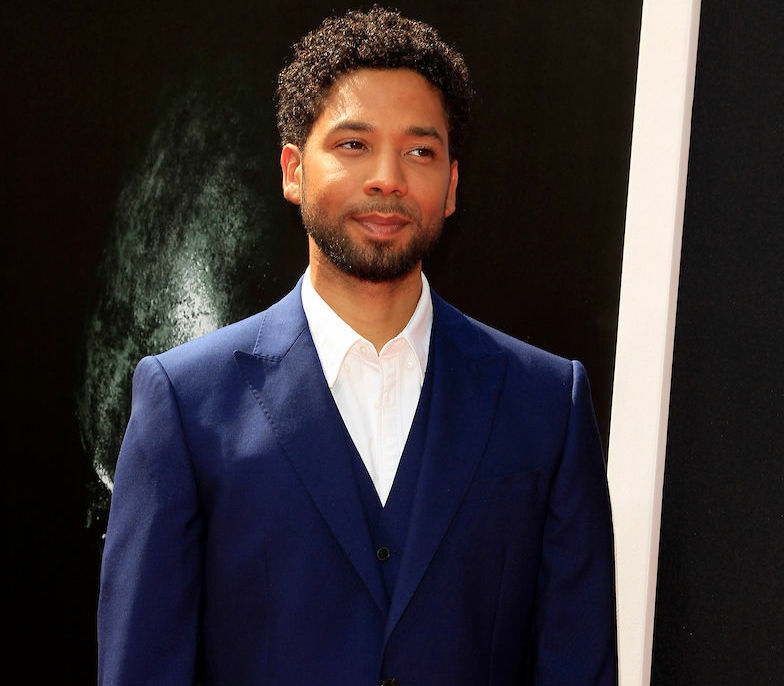 “The events of the past few weeks have been incredibly emotional for all of us,” executive producers Lee Daniels, Danny Strong, Brett Mahoney, Brian Grazer, Sanaa Hamri, Francie Calfo, and Dennis Hammer said in a statement this morning following the legal fallout for Jussie Smollett and his arrest stemming from an alleged hate crime reported on January 29th that he staged on himself. So, what do you think of the Empire producers decision to cut Smollett from the last two shows of the season? What do you think of Jussie still maintaining his innocence to the cast? Comment below.